Variation : White body / patterned seat. 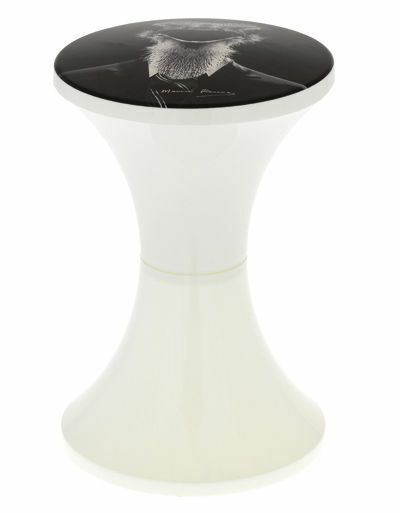 The famous Tam Tam stool is revisited by the stylist and renowned photographer, Maurice Renoma which makes this new creation a stylish mix of art and design. 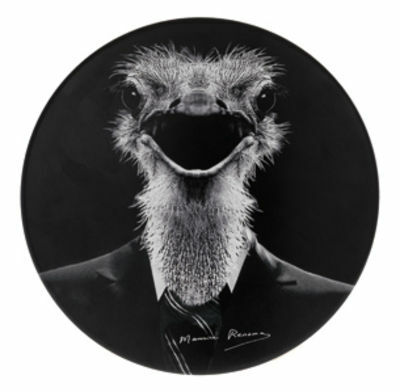 The famous stool has been invaded by strange creatures, half human, and half animal... Cow, monkey or even an ostrich dressed in their most beautiful suits for a photo to remember on the seat of this stool! Discover the gallery of six portraits of funny, poetic and fascinating animals. Colour : White body / patterned seat.